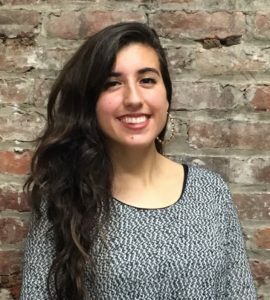 Stephany graduated from Golden Gate University School of Law in May of 2016 with experience in many fields of social justice work. Born and raised in the border town of El Paso, Texas, Stephany discovered her passion for immigrant rights and justice at a young age. 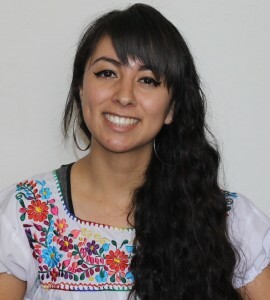 She has pursued her passion for immigration justice through internships at organizations like La Raza Centro Legal, the Women’s Employment Rights Clinic at GGU, Lawyers’ Committee for Civil Rights, and Social Justice Collaborative. Beyond her work at LSC, Stephany enjoys sketching with graphite pencil and painting with watercolors and acrylic paint, reading, dancing, going to concerts, and traveling. Reyna joined LSC in September 2005. She manages the Detained Immigrant Children’s Project. Her main focus is providing direct support for detained Spanish-speaking immigrant youth. Reyna’s professional background includes working as a certified mediator, certified domestic violence counselor, and a suicide hotline counselor. As a mediator and counselor, she assisted adults and youth who faced substance abuse, domestic violence, and HIV/AIDS-related issues. Outside of work, she loves spending time with her four-legged child KittyCat, her nephews Giovanne and Issa, and her niece Genevieve. Cecilia joined LSC in December 2014 with a background in education and immigration law. 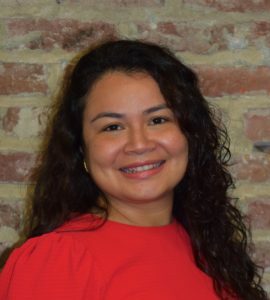 Prior to attending law school, Cecilia worked in at the International Language Institute in Northampton, Massachusetts, as a Spanish and English teacher and as the Adult ESOL program coordinator. In law school, she focused on public interest and immigration law, while volunteering with the Boston Interpreters Collective. She interned with Greater Boston Legal Services, the ACLU of Texas, and La Raza Centro Legal of San Francisco. At La Raza Centro Legal, Cecilia was the Coordinating Attorney. 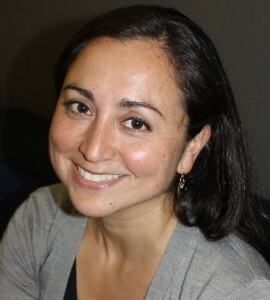 Cecilia is a member of the American Immigration Lawyers Association (AILA) and the National Immigration Project. Tanhya joined LSC in June 2015. She graduated from University of California, Santa Cruz with Bachelor Degrees in Psychology and Sociology. Tanhya’s career aspirations are to become a lawyer working with underrepresented communities. Her passion stemmed from her own upbringing, growing up in a primary economically disadvantaged Latino community who confronted different forms of injustice every day. Her social justice work is driven to bring about a more just society. Working to help give people agency and autonomy in their legal decisions, and empower to continue growing. Outside of work at LSC, Tanhya enjoys dancing, writing poetry, singing, hiking, and spending time with family. Linn joined the LSC team in June 2008. Linn has been a social worker working primarily with foster care/homeless/runaway youth for the past 17 years both in New York City and San Francisco. She has a deep commitment towards social and racial justice and has a particular interest in working with queer/LGBT youth and youth aging out of foster care. At LSC, Linn provides advocacy for youth in many legal practice areas but primarily in legal guardianships. Linn co-facilitates the Young Women’s Empowerment Project support group and as the Wellness Director, she pays focused attention on bringing trauma-informed practices and services to both clients and staff at LSC. She received her License in Clinical Social Work in California in June 2013. In her spare time, Linn loves spending time at the ocean, traveling, and crafting. Moisés joined LSC in June 2013. He grew up in Southern California and graduated from UC Berkeley with a degree in Spanish: Hispanic Languages & Bilingual Issues. Moisés is deeply fascinated in languages, particularly with code switching in conversations and literature. In his spare time, he enjoys learning and experimenting with art practice techniques, reading manga and fictional literature, cooking his ama’s recipes, playing badminton, running, and playing mahjong and Blokus. Jen joined the LSC team in June 2016. Jen brings 20 years of experience working with youth in various capacities. Jen began her career in 1997 as a Court Appointed Special Advocate (CASA) working with abused and neglected children. She spent several years working as a counselor for drug addicted teens at Thunder Road Adolescent Drug Treatment Center in Oakland. She left Thunder Road to attend law school at Northeastern University School of Law. While in law school, Jen focused on juvenile justice issues. She has clerked for a Juvenile Court Judge, interned at a public defender’s office, worked as an advocate for women in prison and spent time in India working with refugees. For the nine years prior to joining the LSC team, Jen had a private law practice representing both parents and children in the San Francisco Dependency Court. Jen’s practice at LSC is focused on representing children in abuse and neglect cases and advocating for the rights of foster youth. Outside of work Jen enjoys relaxing at the Russian River, traveling and spending time with her many nieces and nephews. 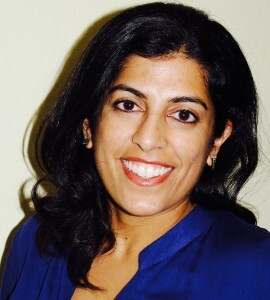 Anjuli joined LSC in 2014 to lead the Guardianship Project and in 2019 became LSC’s legal director. 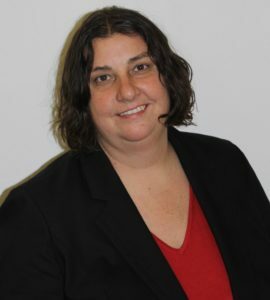 Anjuli brings many years of experience representing children in various capacities including those in need of guardianships and advocating for guardians and youth in obtaining public benefits and SSI benefits. 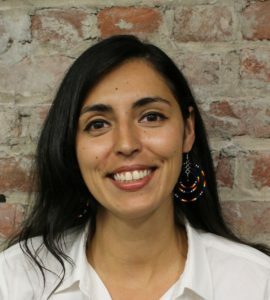 Anjuli previously worked as a policy attorney and a staff attorney at The Alliance for Children’s Rights in Los Angeles and also worked in the private sector practicing business and civil litigation. She was a fellow in the Center for Children’s Rights during her time as a student at Whittier School of Law and has her certification in International Law. Outside of work, Anjuli relishes in her other passion of parenting her three children and enjoys traveling and exploring the world with them and her partner. Originally from San Diego, Anjuli can often be found in search of (or dreaming of) beautiful beaches. Daisy joined LSC in January 2019. Born to immigrant parents, Daisy grew up seeing the lack of resources and injustices of being a part of an underserved community. Her experiences led her to pursue a career in community and law enforcement based advocacy working with survivors of domestic violence and victims of crime. Most recently, Daisy worked for the Rocky Mountain Immigrant Advocacy Network with adults in immigrant detention. Her passion in working with the immigrant community include providing services in Spanish to ensure their understanding in the civil and criminal justice systems, their rights as victims of crime, and access to mental health services and community resources. 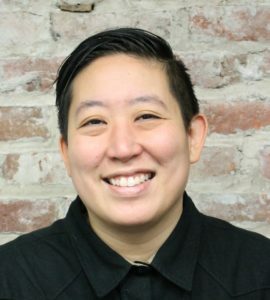 Daisy is originally from Denver, CO and outside of work, she enjoys spending time with her husband and family, reading, dancing, eating and traveling, and exploring her new home in the Bay Area. Christian came to LSC in December 2014 as a recent graduate of UC Berkeley with degrees in Political Science and Rhetoric. Christian’s dream is to attend law school so that he may one day advance social justice through public office – a passion which he developed while growing up in South Central Los Angeles. He is deeply interested in history and political issues. During his off time Christian relaxes by practicing martial arts, running, playing video games, and loves going to the movie theater. 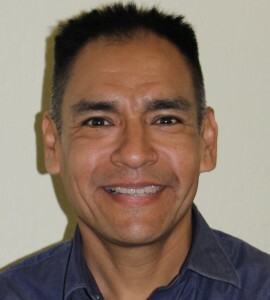 Ron has been practicing social work at LSC since 1996 and he received his Licensed Clinical Social Worker (LCSW) credential in 1999. He has served in the role of Clinical Director at LSC since 2001, supervising the social work staff and coordinating the overall clinical services. From 1992 to 1994, Ron worked with Episcopal Social Services in New York City as a foster care caseworker serving families with predominantly Dominican and Puerto Rican heritage. Over the years, Ron has accumulated extensive clinical experience serving children and families with a diversity of racial, ethnic, and cultural backgrounds. 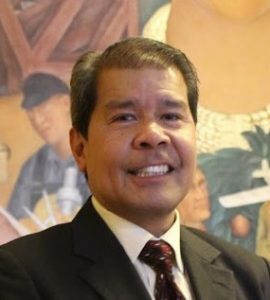 In 1999, he began presenting on the topics of Latino Identity and Cultural Competence, and has since spoken at numerous conferences and agencies across the country. Ron and his wife, Cherie, are the proud parents of two daughters. Outside of work, Ron is a competitive and accomplished trail runner and bike racer. He also enjoys commuting to LSC daily by bike. Ron identifies as Peruvian American and he is fluent in Spanish. Gloria joined LSC in May 2016 as a recent MSW graduate of UC Berkeley. Born and raised in East Oakland, and one of 8 siblings to Jalisciense immigrant parents, has given Gloria the privilege to be exposed to interlocking strengths and struggles that have fueled her motivation in addressing mental health injustices/disparities within communities of color. Gloria values learning about families’ roots and stories, including her own, as a way to heal, connect, and take on a strengths-based approach. She enjoys spending time with family including her partner, gathering family narratives, photography, eating, writing, hiking, drinking tea, dancing and meditating. 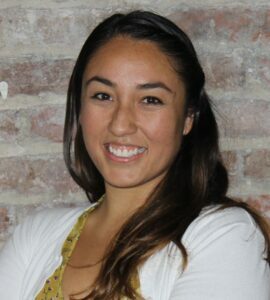 Prior to joining LSC, Jessica worked with foster youth in Alameda County. After receiving her B.A., she worked as a case manager in a mental health program. During graduate school, she worked with youth and families at Public Counsel Law Center and was also an academic advisor for high school students in a college readiness program. 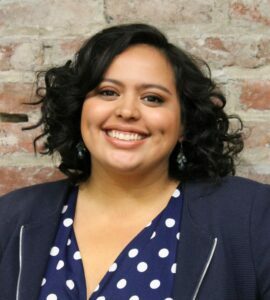 She was born and raised in the Central Valley, is fluent in Spanish, and is passionate about promoting social justice. 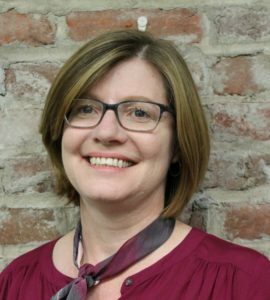 Joyce joined LSC in 2016 with more than 12 years of experience in donor development, grant management and communications. Most recently she worked at Bay Area Legal Aid and before that at the San Francisco Court Appointed Special Advocate (SF CASA) Program. She is passionate about bringing a measure of justice to vulnerable people, particularly children and youth. She also enjoys working with adult learners and has tutored GED students and has taught a “Silver Surfers” class-- internet basics for seniors. Outside of work, she works to promote reform in the domestic adoption industry. She grew up in NYC but now happily lives in the East Bay with her wife, daughter, and dog Whisper, even though she is not a dog person. 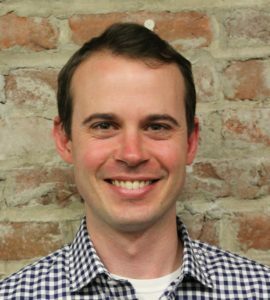 Michael, who joined LSC in 2015, oversees LSC’s resource development from a diverse portfolio of private foundations, government agencies, and individual donors. Michael has 17 years of experience in philanthropy and fund development in the fields of education, health care, international development, and media arts. Prior to joining LSC, he was the development director for the National Council on Crime and Delinquency, a global organization working on systems-involved children, youth, and families. He has held senior staff positions at College Summit, Southwest Community Health Center, International Development Exchange, The Girl Scouts, and UNICEF. Prior to his work in the non-profit sector, Michael was a documentary filmmaker whose work has been screened at film festivals and broadcast on television stations worldwide. When he’s not fundraising, he sings as a tenor at the Basilica Choir of Mission Dolores, the oldest church in San Francisco. He is also the proud owner of a large snow globe collection. 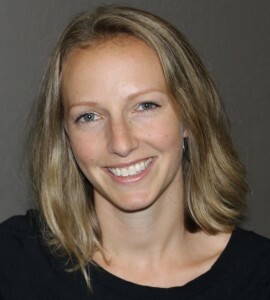 Ashley joined LSC in January 2014, drawn to the organization for its unique holistic services model, and commitment to providing youth-centered representation. As Pro Bono Director, she seeks to further LSC’s mission and reach by recruiting, training, and mentoring outside attorneys in our immigration, guardianship, and school discipline cases. 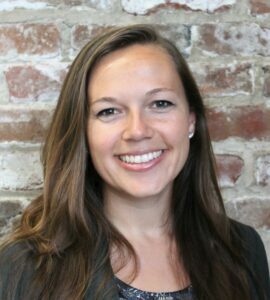 Prior to this role, Ashley’s practice focused on representing detained and non-detained youth in immigration proceedings, and overseeing LSC's DACA Project. In her life before law, Ashley worked abroad as a teacher and program coordinator in Thailand, Argentina, and Nicaragua. These experiences fueled her interest in international human rights, and led her to a legal career representing individuals ensnared in the immigration and juvenile/criminal justice systems. Originally from Montana, Ashley spends as much of her free time as possible outdoors. Her favorite pastime is introducing her two kids to the wonders of the Bay Area. 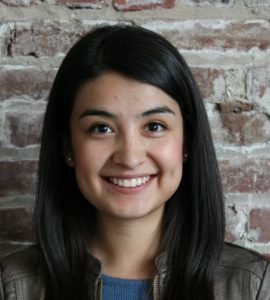 Lindsay’s work with trauma survivors, including foster youth in Los Angeles, human trafficking survivors in Seattle and the Philippines, and those caught in the criminal justice system, highlighted the unique vulnerabilities of immigrants and fueled her passion for holistic immigrant rights advocacy. 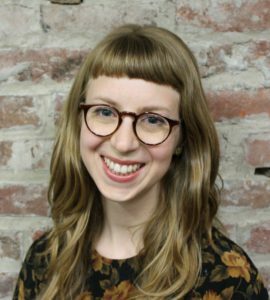 Lindsay graduated from Harvard Law School in 2016 where she pursued this passion through the Harvard Immigration & Refugee Clinic, the Harvard Immigration Project’s Removal Defense Project, and internships with Northwest Immigrant Rights Project and Public Counsel’s Immigrant Rights Project. Following law school, Lindsay worked as an Immigrant Justice Corps Fellow in New York City. Outside of work, Lindsay enjoys spending time with family, friends and strangers-waiting-to-become-friends, particularly when that includes outdoor adventures, picnics, live music, dancing or traveling. 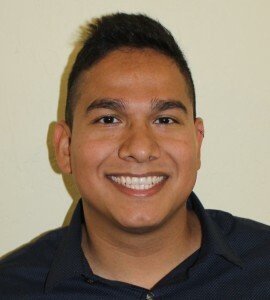 Eswin joined the LSC team in March 2016 as a recent graduate of UC Berkeley with a degree in Chicano Studies with an emphasis in de-colonial thought and theory. He aspires to one day become a doctor, a dream that was fomented by the lack of health care resources and various public health issues present in the greater Los Angeles area. Eswin hopes to one day become an ally to those affected most by the pitfalls of the current health care system. He is deeply interested in learning more about history and human anatomy. On his time off he enjoys lifting weights, reading comics/manga, playing video games, and cooking. 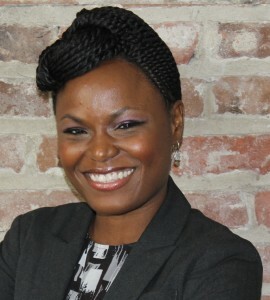 As Executive Director, Abigail has overall leadership responsibility for the agency, where she has worked since 1996. Prior to becoming Executive Director, Abigail was the Managing Attorney for ten years and a staff attorney for six years prior to that. She has both direct service and policy expertise in all four LSC legal practice areas. 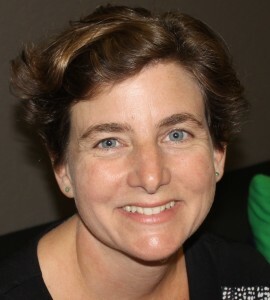 Previous to joining LSC in 1996, Abigail worked at numerous charitable organizations with a focus on education, and taught at an inner-city school in Los Angeles. Abigail is one of the nation’s first Certified Child Welfare Law Specialists. She is proficient in Spanish. Every moment outside of work, Abigail and her husband enjoy their daughters, Isabelle and Rebecca. 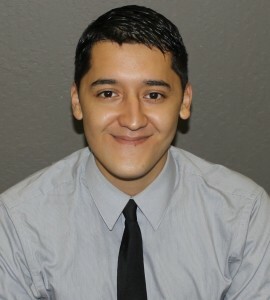 David began working at LSC in September 2017. 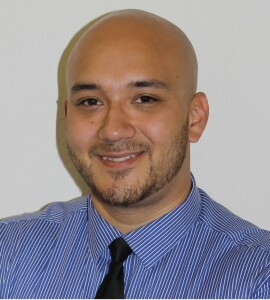 Prior to joining LSC, David spent five years in the Public Defender’s office in Massachusetts representing children and parents in the dependency system. David became interested in providing direct legal representation to children during law school while interning with the Department of Justice’s Office of Juvenile Justice and Delinquency Prevention. He went on to intern with the Children’s Law Center providing assistance to children in Washington D.C.’s dependency system and later participated in Georgetown’s Juvenile Justice Clinic providing direct legal representation to children charged with delinquencies. When not at work, David enjoys being outside, reading, and playing soccer. Patricia joined LSC in September of 2017. Prior to joining LSC, Patricia worked at KIND- Baltimore representing unaccompanied minors in their immigration proceedings. Patricia completed her JD at Catholic University, Columbus School of Law. While attending law school, Patricia worked for the Department of Justice investigating law enforcement agencies and correctional facilities for violations of constitutional rights. Prior to law school, Patricia worked as a union organizer with service workers asserting their employment rights. She received her B.S. in Community and Regional Development from the University of California, Davis. She is originally from the Central Valley of California and the daughter of immigrant parents. She became an immigration attorney to help her community, and because she wanted to build a more equitable world and ensure that all people have access to representation. In her spare time, Patricia enjoys being active, spending time with her family, in particular her three nephews, and is an avid soccer player.